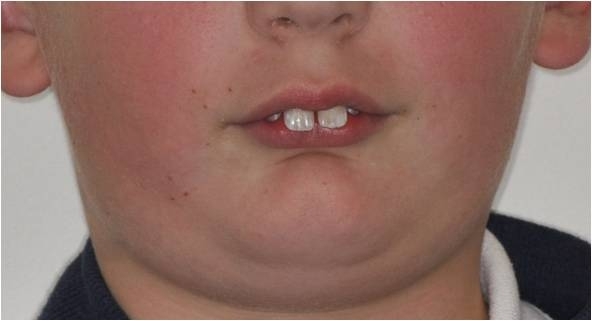 In severe cases, the lower lip may sit behind the upper front teeth and push them further forward to accentuate the disharmony. Protruded teeth can be unattractive and prone to accidental damage. Often teeth become worn unevenly. Sometimes, the lower front teeth can overerupt and damage the gum behind the top front teeth. Orthodontic treatment involves the aligning, levelling, and coordination of both arches with braces. In growing patients, the bite is corrected with headgear, elastics or functional appliances. In severe cases, especially if growth is complete, jaw surgery might be required to correct the jaw disharmony.